Everything from the boxes! Looks like a lot, but most of them are samples hehe. 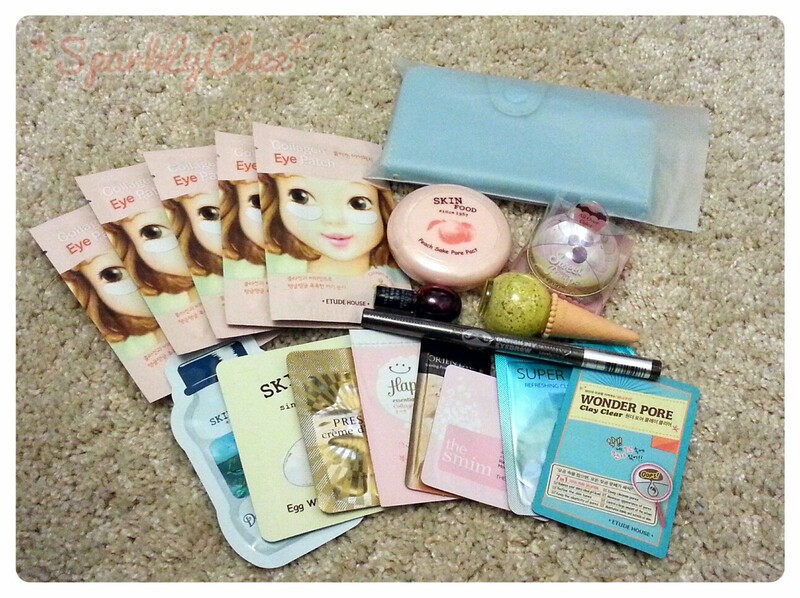 I am really excited to try these products out and review them, will add links here when I do. Also I am thinking of doing a first impressions or "mini reviews" on some of the samples. It will be a small post where I will give my brief initial thoughts on them, and whether or not they warrant a second glance. thanks for sharing! will look forward to the skinfood review! Me too! they have a lot of korean beauty products =) thanks for reading! Yay! no worries. I've already checked the ebay usernames that you have provided and i just need some budget for online shopping haha! Anyways have you tried any Japanese cosmetics?